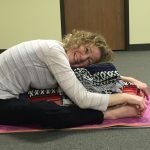 Yoga is an art and science that connects the mind, body, and spirit through the practice of physical postures (asana), partnered with the breath (pranayama), and meditation practices. 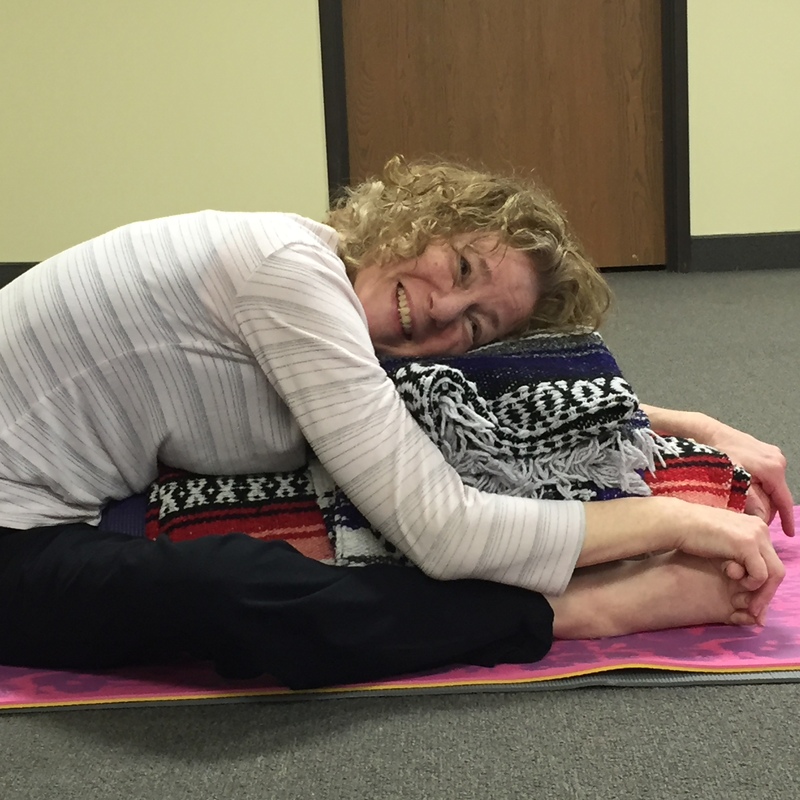 Adaptive yoga modifies these postures for persons with MS and other neuromuscular conditions. Yoga is not a one-size fit’s all philosophy. Since every body is unique, and each individual’s practice in different, essentially all yoga is adaptive to some extent. With adaptive yoga, traditional poses are tailored to the physical body, rather than fitting and forcing the body into a particular pose and shape. Coupled with breathing , props such as blankets, chairs, yoga straps, and blocks to meet the unique needs of individuals with different abilities. 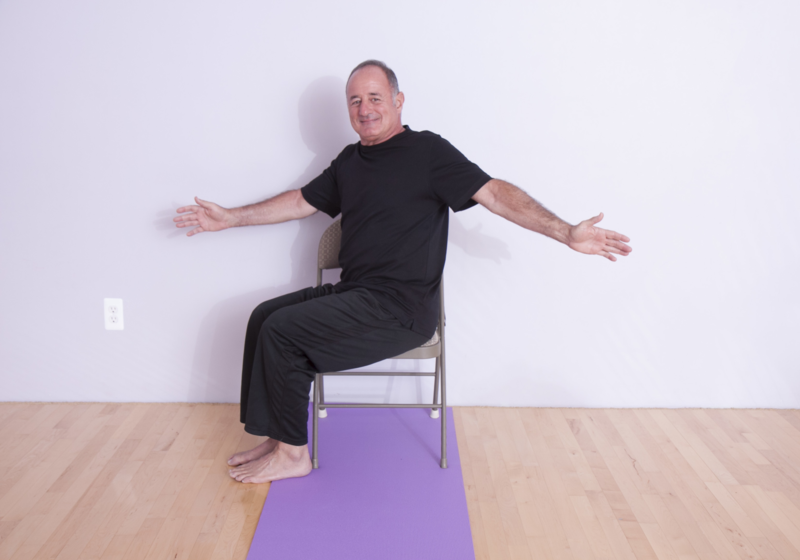 Yoga poses can be adapted to be practiced in a chair, while standing, or on the earth. With Multiple Sclerosis, the immune system attacks the Central Nervous System (CNS), and communication to and from the brain and body is compromised. Damage to nerve fibers and the myelin sheath that protects the nerves leads to a myriad of symptoms. 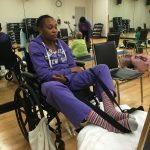 They include, but are not limited to, significant fatigue, muscle weakness, pain, numbness and tingling, spasticity, and challenges to balance, walking, vision, bladder, bowel, speech, swallowing, hearing, and sexual functioning. These same symptoms often manifest in other neuromuscular conditions. 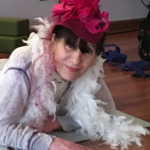 We have seen how hundreds of Yoga Moves students, with varying ranges of physical and cognitive ability, and persons with similar neuromuscular symptoms can reap the rewards from adaptive yoga. 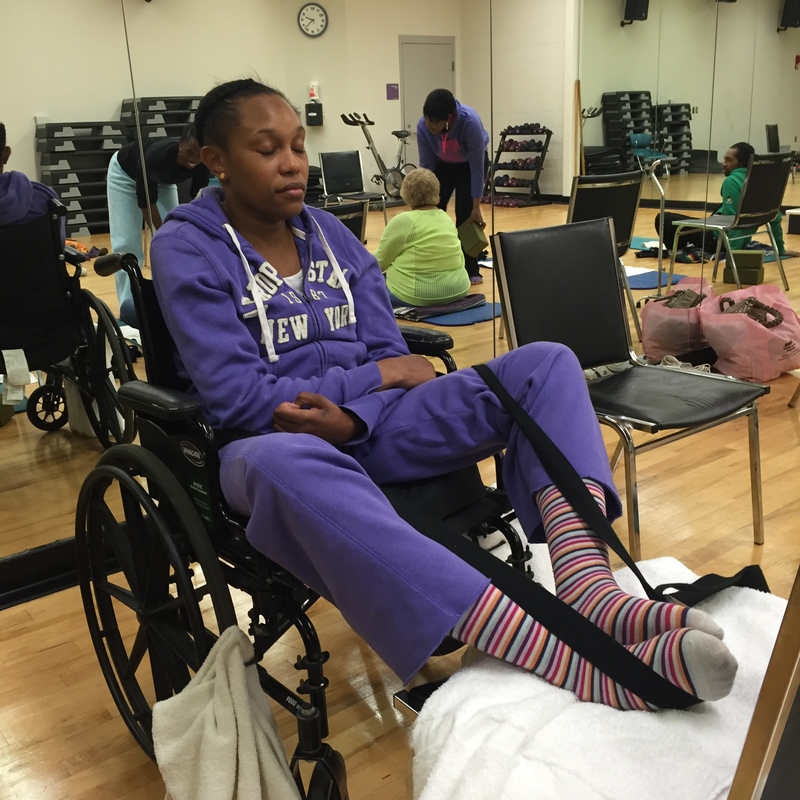 Though the majority of our students have MS, others with similar neuromuscular conditions also have benefited when we apply the same principles. Yoga has the potential to lessen several physical symptoms of MS and other similar neuromuscular conditions. While it is not a cure, the multiplicity of benefits individuals may experience from a given pose are extraordinary: improved strength, flexibility, posture, balance, focus, circulation, digestion, elimination, pelvic floor health and decreased tension, fatigue, spasticity and other aches and pains and overall coping skills to contend with symptoms. With breathing and posture practice, energy flows more freely through the body. A strong mind body connection results in a deeper sense of inner awareness and expression of peace, which translates to great healing. Rather than defined by a condition or disease, Yoga Moves students feel more at ease, whole, and in touch with their minds and bodies. A common misconception is that you have to be flexible before beginning yoga. 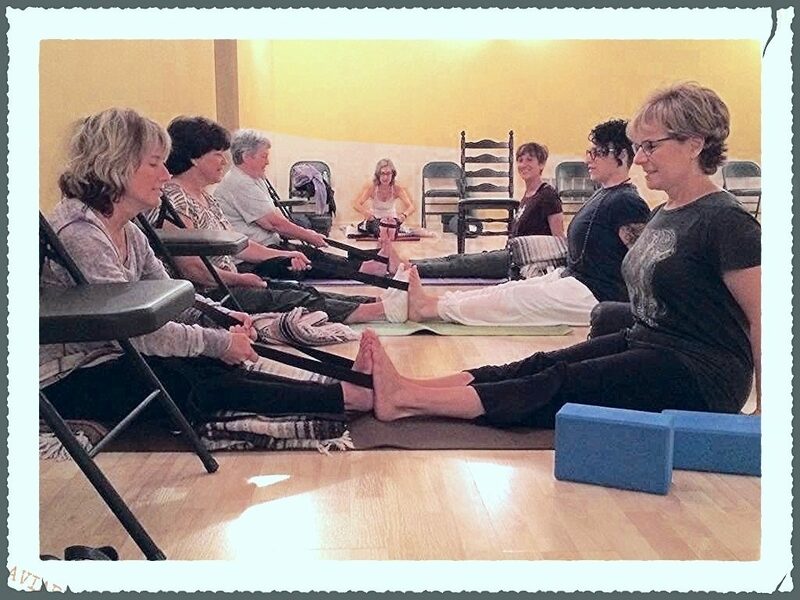 Yoga Moves MS seeks to empower any body, whether flexible or stiff, short or tall, muscular or lean, able to ambulate with or without a cane, walker or wheelchair, to heal through the power and play of yoga. Why wait any longer? Contact us today. Nurture yourself and witness how yoga can improve your quality of life.